Christmas isn't all fun and games for some! 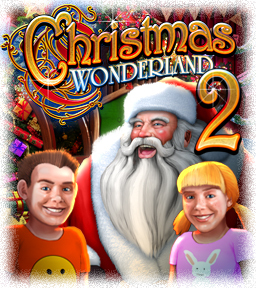 For Santa and his elves, its all work work work in the sequel to the popular festive hidden object game, Christmas Wonderland. From the North Pole to the Big City and back again, help Santa go about his yuletide duties. Meanwhile Sally, Dan and their Mom are also preparing for Christmas and have one last chance to visit the mall and get all the seasonal essentials. Seasonal Good Cheer and a Merry Christmas!